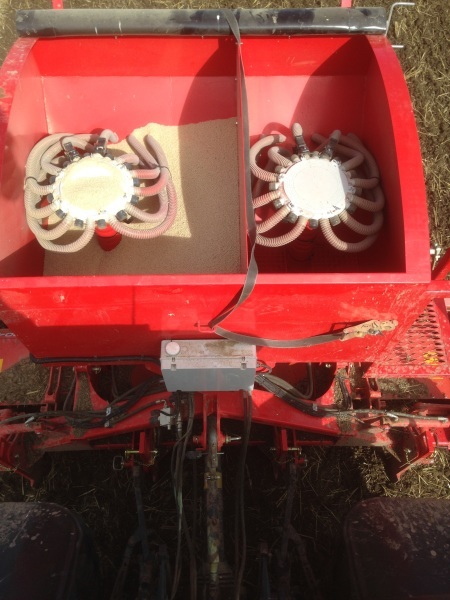 Subsoiler/pre loosening leg combination seed drill. Adjustable row width. Seed and Fertiliser tank. 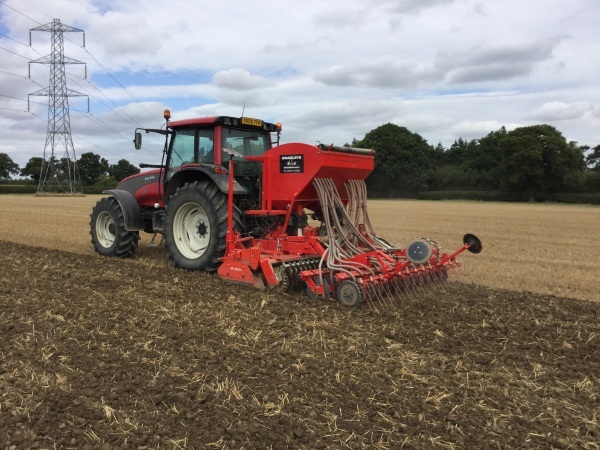 The combi-plus seed drill is designed to be used in a wide range of systems, from one pass into stubble through to a plough based system. The machine can also be used as a primary and secondary cultivator. NG soil loosening leg with 525mm wing. Option 1: Direct into stubble with legs. Option 2: Into min-till with legs. Option 3: Into min-till without legs. Option 4: Into ploughing with legs. Option 5: Into ploughing without legs. Option 6: Cultivate with legs in, discs lifted out. Option 7: Cultivate with only power harrow. 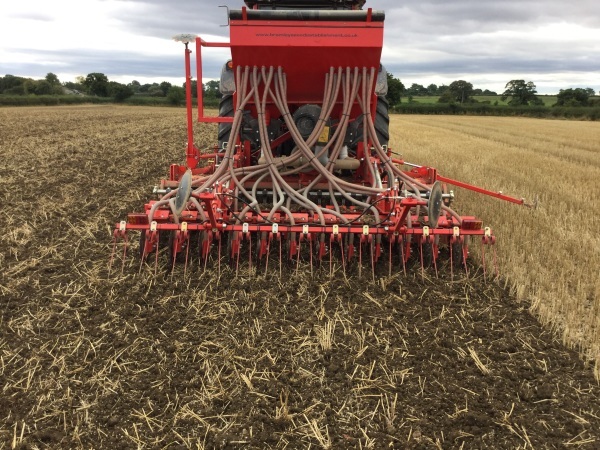 When drilling OSR the disc coulters can be set in line giving you 12 rows in 3m and the ability to sow fertiliser down the front disc with OSR seed down the ​back disc. The fertiliser is placed directly below the OSR seed giving it the best start possible. The drill is designed to be as compact as possible allowing 130 hp tractors to use the system very effectively. As a result a light tractor can be used with a small amount of front weight added. Each drill is made to order in a 3 or 4 metre width. Options on the drills are as you require to create a bespoke system.